Cook beef in 10-inch skillet over medium-high heat about 6 minutes, stirring occasionally, until brown; drain. Stir in celery, onion, salsa and corn. Heat to boiling, stirring constantly; reduce heat. Simmer uncovered 5 minutes, stirring occasionally. Heat taco shells as directed on package. 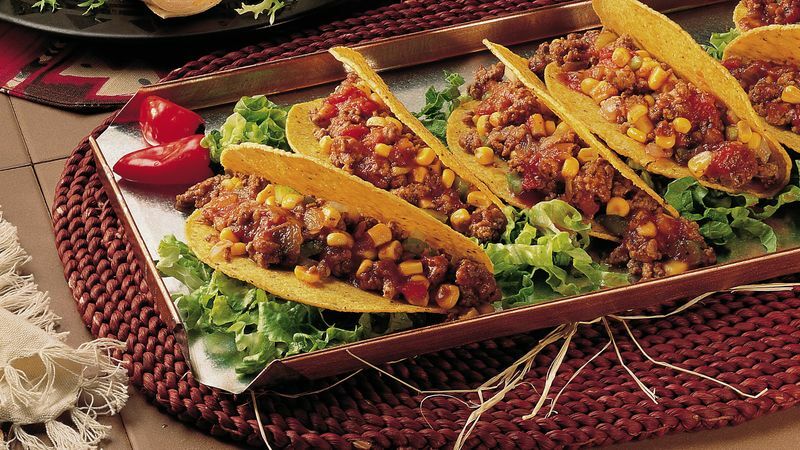 Spoon beef mixture into taco shells. Top with lettuce. It’s easy to substitute ground turkey or chicken for the ground beef. If you don’t have a nonstick skillet, you may want to spray your skillet with cooking spray before cooking the ground turkey. If crisp taco shells aren't your style, make a "wrap." Place the filling in the center of a soft flour tortilla, and roll it up!